Take your Honeygrow salad to-go. 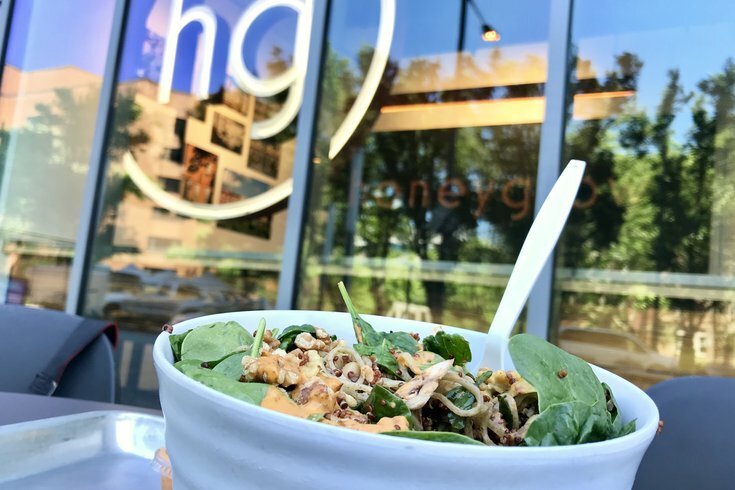 Honeygrow, founded in Philly and specializing in customizable stir-fries and salads, is still celebrating National Noodle Day, which was Saturday. In honor of the excuse to eat carbs holiday, the eatery is hosting a contest where the winner will receive free noodles for a year. We reached out and confirmed that when they say "free noodles," they do indeed mean free Honeygrow stir-fry or Minigrow noodle dishes for a whole entire year. The contest was announced on social media, and the rules are pretty simple. Post a picture of your favorite Honeygrow stir-fry or Minigrow noodle dish to Facebook, Instagram or Twitter. Make sure you've "liked" Honeygrow or Minigrow on the social media platform. Remember to tag the photo #nationalnoodleday. You have until noon on Friday, Oct. 12, to enter. Then, at 5 p.m., the winner will be announced and the prize will be awarded via the eatery's app.